The Last Nuremberg Prosecutor Has 3 Words Of Advice: 'Law Not War' : Parallels Shortly after fighting in World War II, American Benjamin Ferencz prosecuted his first court case. The defendants were Nazis, the place was Nuremberg. He recalls the trial on the 70th anniversary. Nazi officials were prosecuted at the Nuremberg trials in Germany from 1945-49. 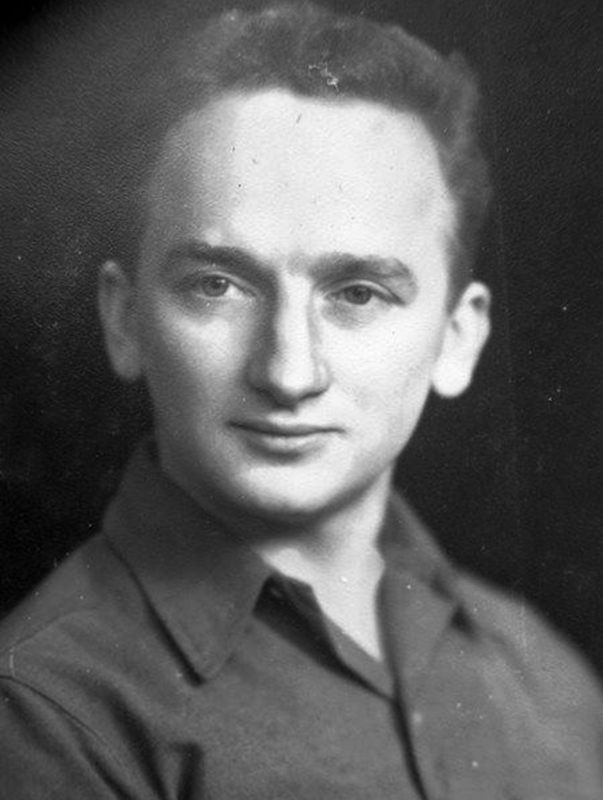 American Benjamin Ferencz, who was 27 and serving as a prosecutor for the first time, won convictions against all 22 Nazi defendants in his 1947 trial. 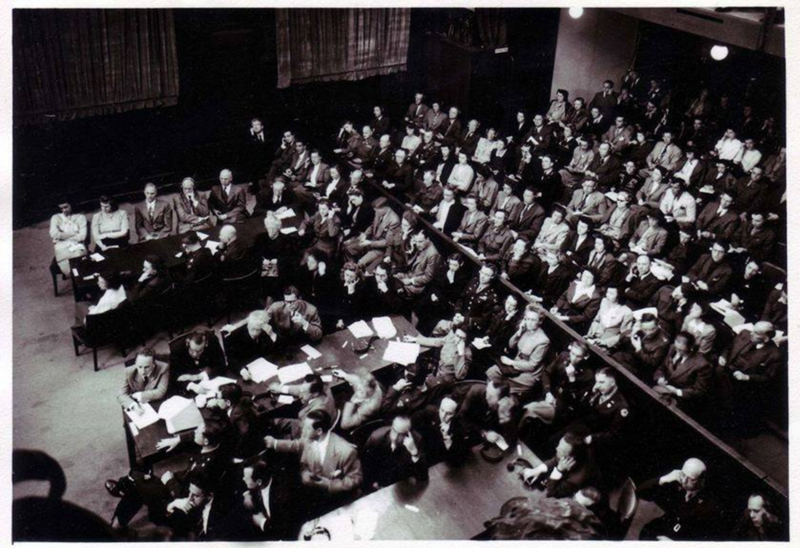 When the Nazi leadership was put on trial in Nuremberg, Germany, in the wake of World War II, the notion of an international war crimes tribunal was new and controversial. British Prime Minister Winston Churchill proposed a summary execution of Nazi leaders. But it was decided that trials would be more effective, and would set a precedent for prosecuting future war crimes. Thirteen trials were held in Nuremberg from 1945 to 1949, with multiple defendants in the cases. The prosecutor for one trial was Benjamin Ferencz, who was just 27 at the time, and it was his first trial. "We shall establish beyond the realm of doubt facts which, before the dark decade of the Third Reich, would have seemed incredible," Ferencz said at the trial. 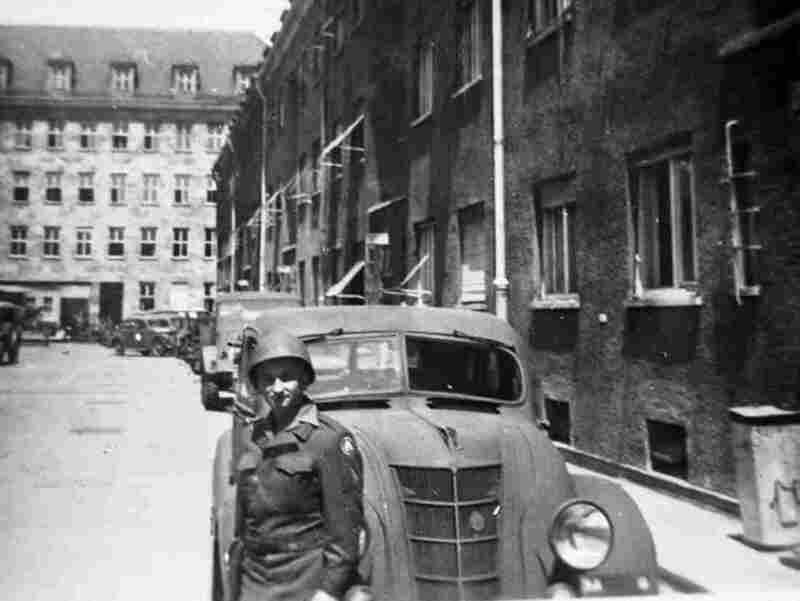 He served as a combat soldier during the war, but as the fighting was coming to an end, Ferencz says he was assigned to Gen. George Patton's headquarters. "The final assignment in the Army was to go into the concentration camps as they were being liberated and collect all the evidence of the crimes for future trials," he said. Ferencz, who's now 96 and living in Florida, spoke with Morning Edition host Steve Inskeep. 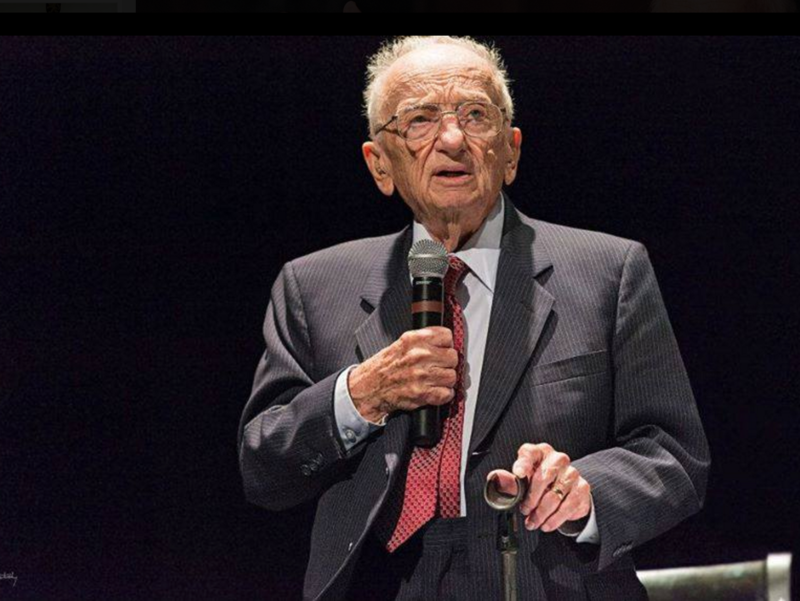 Benjamin Ferencz is the last surviving prosecutor from the Nuremberg trials. Did you visit some of the most famous concentration camps? I was not a visitor. I came in as a liberator. First camp we hit was a place called Gusen, which was part of the Buchenwald camp. I then went on to Mauthausen and Flossenberg and a whole host of camps. It was hell. Absolute hell. Dead bodies all around the place piled up like cord wood before the crematoria, all diseases, rats, lice, dysentery. What evidence would you go away with from a camp? The most important evidence was the death registries: who was in the camp, how long, the names of the officers, photographs, evidence to prove the crime beyond any possible doubt. And I was able to do that because the crime was so enormous and the Germans were so kind as to leave a complete record of all their crimes. And I gathered all of that evidence and rested my case in two days without calling a single witness. I convicted all 22 defendants. Would you describe what it was like to be 27 years old and walk into that courtroom in Nuremberg. I knew the case, I had had historic dimensions and was very careful in the opening statement that I made, and also in my selection of the defendants. There were 3,000 men who, every day for about two years, went out and slaughtered people because they were Jews or Gypsies, and I selected them on the basis of their rank and their education. Many of them had Ph.D.s. No enlisted men in my dock. I picked the leaders who were really top responsibility, if we had him in captivity. What principle were you following in prosecuting the 22 top guys, as best you could determine, and leaving almost 3,000 others alone? The question [is] sensible. The answer is ridiculous. The question — how, why do we stop at 22? Only 22 seats in the dock. Three thousand men could have been tried for the same crimes. Ferencz served as a U.S. combat soldier during World War II. What do you think you proved by putting men on trial in the way that you did? I was trying to prove that the rule of law should govern human behavior and nobody should treat human beings that way. These were crimes against humanity because everyone should have been ashamed that such a thing happened, and I am ashamed that we had the genocide in Rwanda and elsewhere since that time. And I was trying to build a rule of law to deter the crimes in future, at least to some extent. And I think I succeeded to some extent in that. We do have another international criminal court after Nuremberg, which now exists in The Hague, the International Criminal Court. It's called the ICC. There have been very few cases before the International Criminal Court. Well, they are putting people on trial. But today the International Criminal Court has big problems. They can't even get into the country where the crimes are occurring because the head of state himself may be responsible or he certainly may be sympathetic to the criminals, and therefore he doesn't let him in. How has it affected the International Criminal Court that the United States is not a member of it? The United States is a great democracy. When World War II was over, Americans were loved everywhere. They kissed me and hugged me and everybody loved the Americans. Not today, not today. Because now they say the Americans, look, they don't want to go onto the court. It's not the Americans. It's a small minority group, and you need two-thirds of the Senate to ratify a treaty which created these courts. You can't get two-thirds because you're always a few guys from the South. Entitled to their opinion, entitled to respect, but we don't have to be guided by backward-looking thinking. Benjamin Ferencz is now 96 and lives in Florida. You've hit here on a great paradox because you've made it clear that you think that war is terrible. War is hell. It's not terrible. It's awful. And in addition to being cruel and mean and rotten, it's stupid, because look at what we do now. We take young people, if the heads of state can't agree, you send young people to kill other young people they don't even know, who may never have harmed them or anybody else, and they get tired of killing them and then they stop and each side declares victory, rests for a while, and they go back again and they start killing each other again. You're getting me wound up, and I feel very strongly about it. I have boiled everything down into a slogan: Law not war. Three words. If you could do that, how you would change the world. You'd save billions of dollars every day to be able to take care of the students who can't pay their tuition, take care of the refugees who don't have homes. And the next question is, how do you do it? I have also three words: Never give up. And that's what I'm doing. And all I can do as an old man [is] sit here in a little bungalow in Florida and urge the world to come to its senses. Good luck, world.